It’s summer in Texas and the temps are in the triple digits plus humidity at +50%. Most of my riding is on hold until the weather gets a little cooler. During this off time I start to “troll” through Craigslist and eBay for riding gear. Trolling is simply the act of enthusiastic searching. Shopping can be very fruitful when looking for off-season riding gear. I’m a bit of a collector of riding gear and because of that I have to be frugal when shopping. This leaves me looking at quality pre-owned/used gear. Some are put off by used gear and I can understand. Most jackets, pants and such can be washed/cleaned. I would be leery about purchasing a used helmet but almost everything else is game. My suggestions and methods may vary in your area or your comfort level. Used gear can be from from online retailers, forums and local classifieds. When dealing with an online retailer, you may not have the luxury of a return policy. Knowing your particular size from the manufacture you are considering is key. Most manufactures will post sizing charts and guides to give you an idea how their gear will fit. A common issue is that European companies tend to sway to a more a slim/athletic fit. We here in America tend to be more robust in areas so be aware. Sizing can also deviate from the normal XS-XXL and use a traditional jacket measurement utilizing Chest/Waist/Neck sizing normally found in suits and others. Sizing may be in inches others in metric measurements. A quick visit to YouTube can sometimes find a review or two from a retailer that can help with sizing. I start with my local Craigslist and a similar site called OfferUpNow. Search through the general catagories vs the specific category to cast a wide net. Trying common misspellings and such. Next in the motorcycle sale ads. Sometimes you can pick up some gear from a person selling a bike. Next I’ll try SearchTempest.com. SearchTempest is a search engine that polls multiple Craigslist cities at once. Sometimes it will pull up older ads folks may have forgotten or passed by. Dealing with an out-of-town seller can take some trust. Some may agree to a PayPal transactions other may not. Forums are another great source for gear. But with like minds comes like tastes. Gear usually gets snatched up pretty quickly. The trust level is higher in forums. Folks tend to have a reputation within that community and the likelihood of being scammed is low. Your riding groups is another great resource. Some use Meetup and Facebook to organize rides and discussion chats. Easy to set up a face to face for a purchase or even a trade. I know of one retailer that sells pre owned gear. That is Motorcycle gear.com (formally new enough.com). Revzilla and others may post closeout and limited size runs sometimes but are few and hard to find sometimes. I really miss YellowdevilGear.com. The owner moved on to other things but her gear exchange store was unique and classy. eBay tends to be self-explanatory. What I have found out is to search for misspellings and sometimes auctions with little description. You can ask the seller for more info to see if an item fits the bill. Don’t be swayed away from the international market. I have found some great deals from Europe and Australia. Shipping can be higher but it all depends on the deal. I hope this helps someone fill their gear closet with the missing pieces they need. If you have other suggestions, please feel free to share. Riding motorcycles for a person that is near sighted leaves us with a few of options. Either wear contact lenses, wear glasses or have a procedure to correct your vision like LASIK. I’ve been wearing glasses ever since elementary (primary school). So I’ve grown accustomed to them and they have, in someway, become part of my personality. I tried the contact lens route but was troubled with the wind drying them out and continuously applying rewetting solution. The risk and quality of Lasik still concerns me and I am willing to wait for bigger and better things. But as most of you (fellow glasses wearers), our battle with our glasses and helmets is a daily task. I used to struggle with my metal frames, carefully trying to tuck them in between the padding or my helmet and my head. Either to slowly start tearing the padding or bending/breaking the temples itself. So I started researching other options. 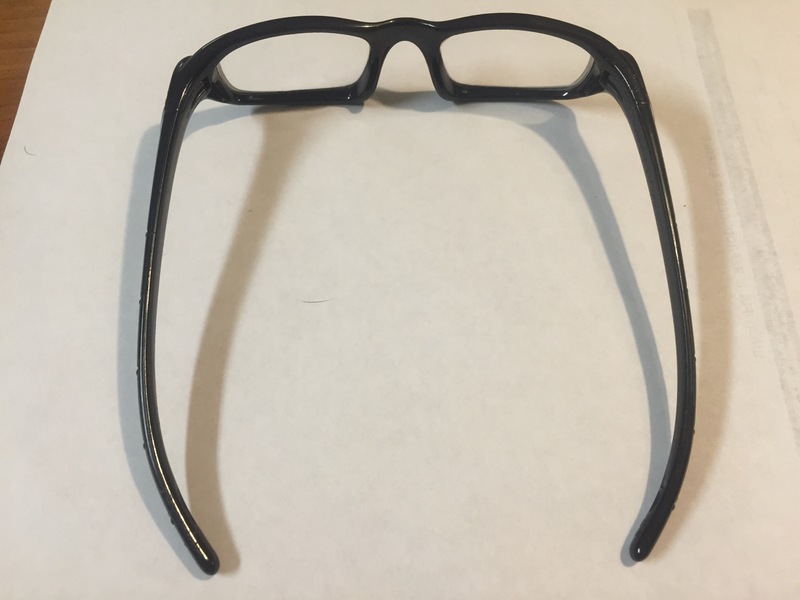 I remembered watching war movies that involved pilots and how they seemed to wear glasses with temples with flat paddle temples that were not curved around the ear but straight and contoured to the shape of the head. 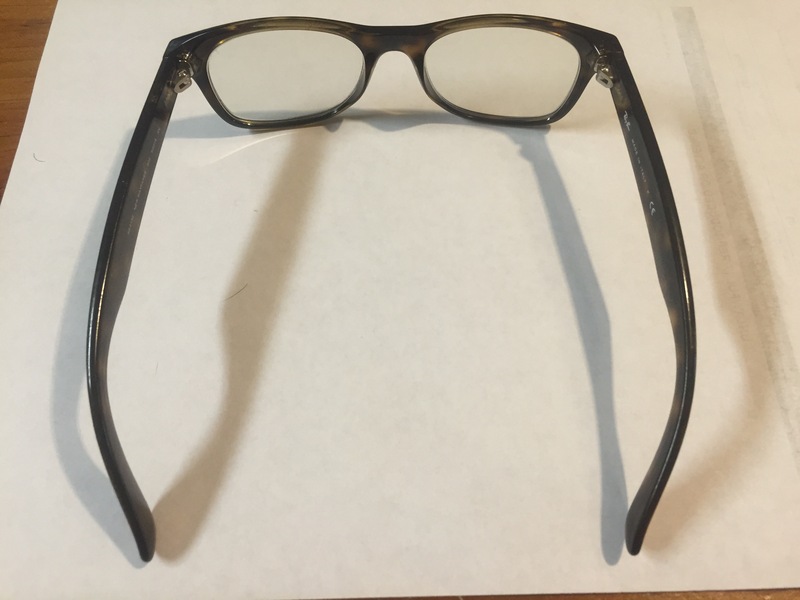 The only glasses I could find in that style were the old square aviators. They were not back in fashion at that point so I looked else where. Found a cool pair of Oakley Fives. 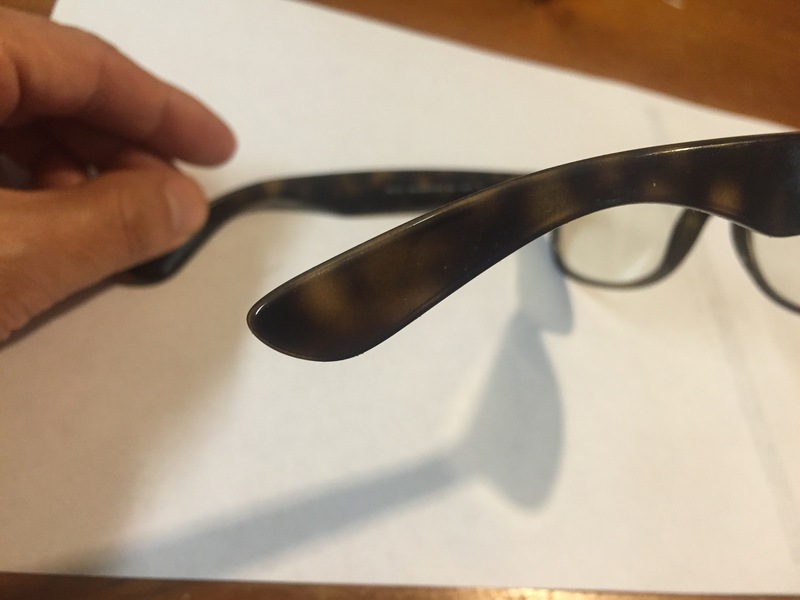 I wore the Oakley Fives through 3 prescription changes until I came across a classic frame. The Ray-Ban Wayfarer. 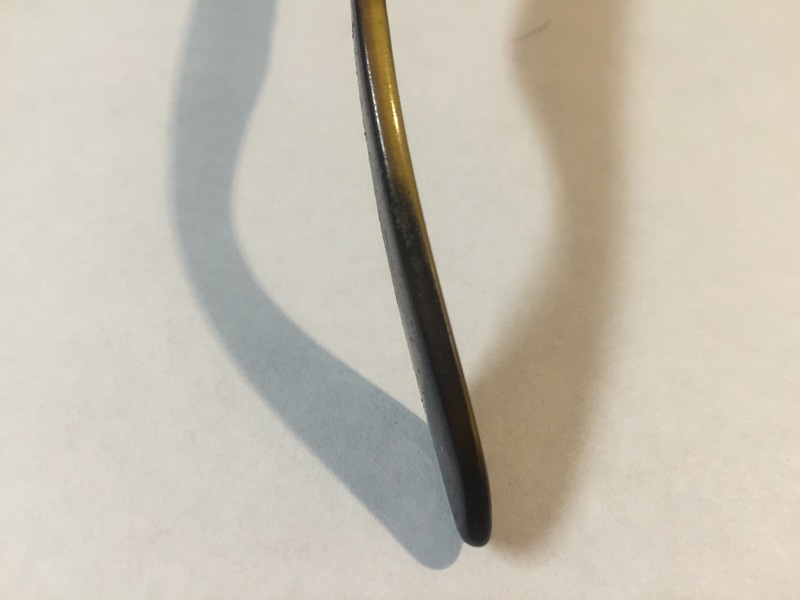 Flat paddle, fairly straight temples and a much sturdier frame. 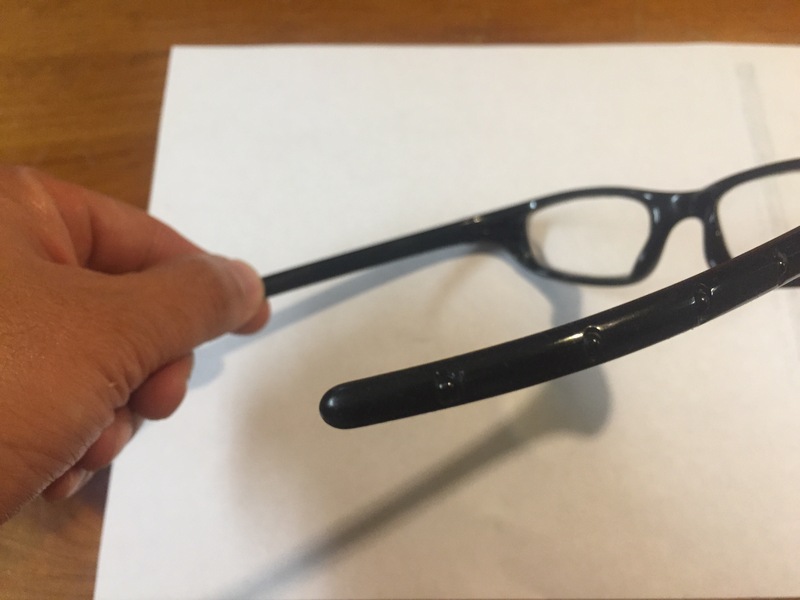 Combining this frame with the latest transitions lens coating makes this combination my favorite so far. 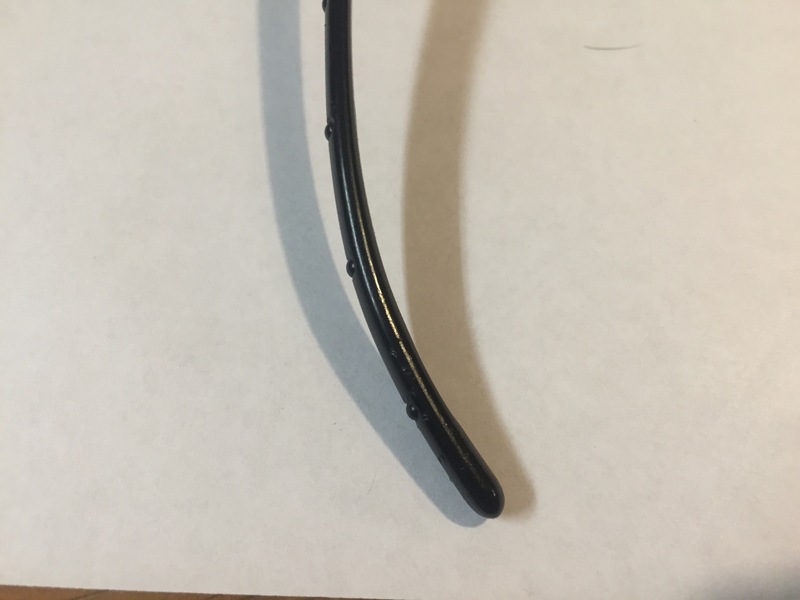 The only thing that is still a pain to deal with is the fogging of my glasses even thought my visor has a pinlock lens on it. Hope you find some of this helpful. 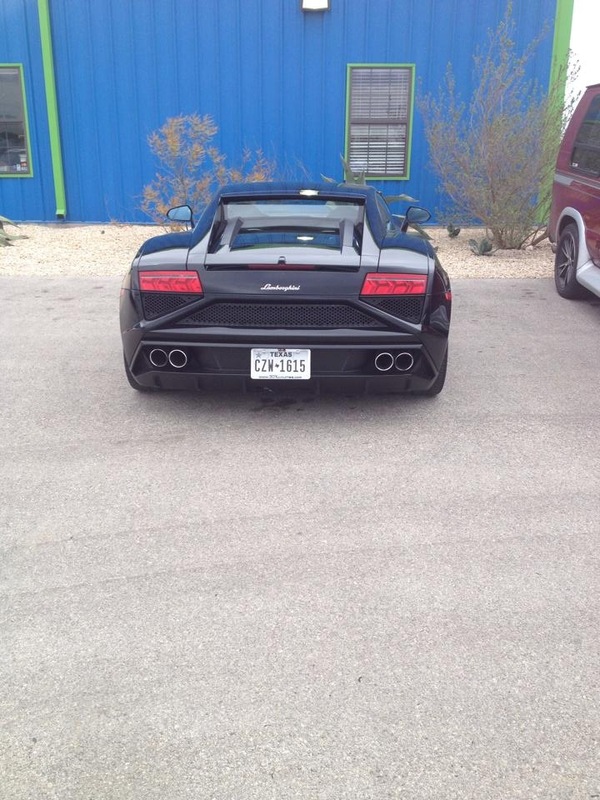 The mild winters in central Texas comes with its trickery. One part of the day will give you a sunny clear weather with manageable temps. Next will have trechorous rain, wind and sleet. With that in mind, I have learned to always dress for the worst of it and peel off the layers as needed. The market gives a rider many winter riding options. From one piece riding suits to two piece jobbers. My budget limits me me a bit so for now it’s the two piece option. I’ve worn hybrid jackets like the Joe Rocket Alter Ego and the Tour Master Transitions. But they seem to leave me with either a loose fitting bare mesh jacket or a complicated multi-layered bulky jacket. I have to blame my slender build but I’m sure they work for many riders. But just not me. Mid cost range companies like Joe Rocket, Tour Master/Cortech and a few others give the entry level/budget minded rider some decent options. But as I gain riding experience and a little bit more budget, I long for better gear. Fit and comfort are becoming more important and with that sometimes comes more cost. When possible, I shop for deals from European companies like Alpineatars, Dainese and Rev’it. Their sizing tends to be less roomy than the typical ‘Merican (American) sizing (small, medium, large). 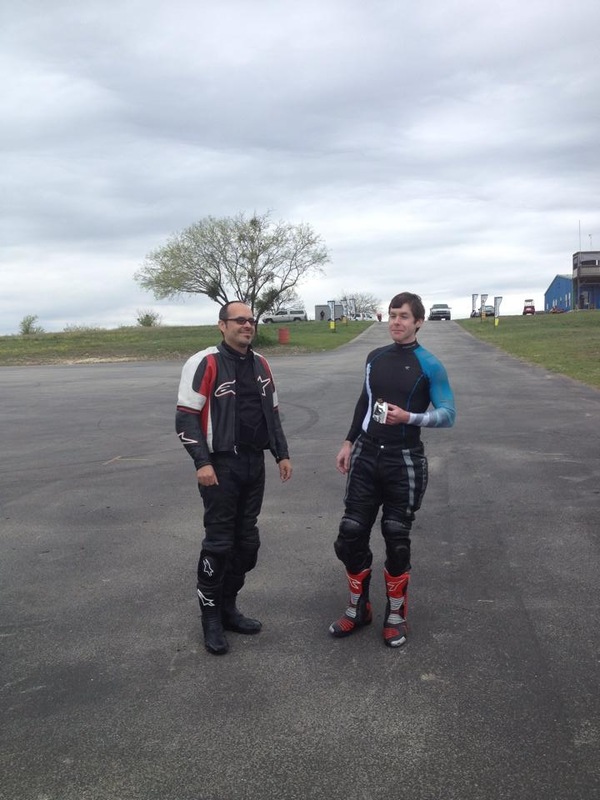 But their gear is tested in races like MotoGP, British Superbike and AMA races in the US. I recently replaced my Joe Rocket Alter Ego jacket for a Rev’it Ignition jacket. Still a multi-layered Hybrid jacket but the fit suits my build a bit better. Back to winter riding gear. Let’s start with your base layer. Layering is very important when riding in unpredictable weather. I’ve been very happy with Cycle Gear’s Freeze Out and Heat Out base layer gear. I find it to be very affordable and functional. The only complain I have is the sizing runs extremely small. I normally wear a medium in most things but in their freeze/heat out gear I wear an XL to XXL for comfort. Mind you that most base layer clothing is designed to be worn close to the body to perform optimally. You want the base layer to function like a second skin. Wicking away sweat to keep the body comfortable. You will notice that with the use of a base layer with wicking properties, you don’t have to layer as much as you would traditionally. So you ride much more comfortably and longer. 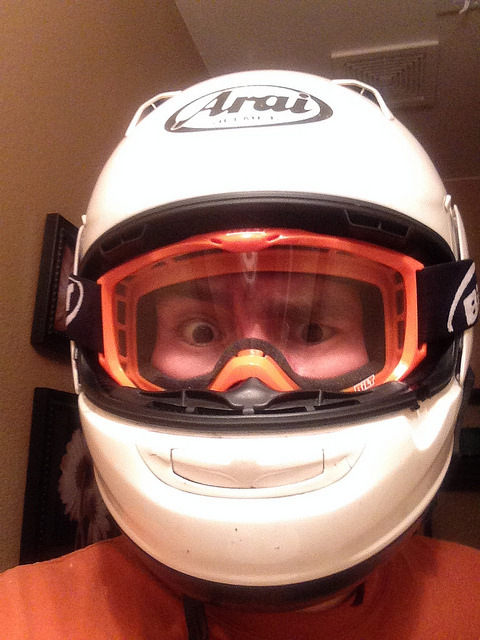 I wear a top, bottom wicking layer and a helmet liner to keep me comfortable during both winter and summer riding. Now to outer the outer shells. I’ve been riding with a Tour Master Saber 3/4 jacket when the weather is pretty crappy. The jacket is water proof with zippered vents. It also comes with a removable inner quilted liner. The jacket length tends to be not the most stylish but I have to say, the length of the jacket is functional when you’re in the cold wet stuff. I normally ride without the stock liner and use with my Cycle Gear Sedici heated jacket liner. It works wonderful. In 30 degree weather, have not had to crank the heat over the lowest setting. For pants I’ve been lucky and happy with a hybrid pant by Joe Rocket called the Alter Ego. Weather proof exterior with armor at the knees, padding at the hips, a removal inner rain liner and a removable vent panel that runs from the top of your lap to the lower hip. This allow the pants to breathe during the warmer seasons. Next comes boots and gloves. Winter riding usually brings all things cold and wet. A goot pair of waterproof boots and gloves will give your feet and hands the comfort that they deserve. being the most outer extremities, warm blood takes the longest to reach them. So look for boots and gloves with weather/water proof technology like Gore-Tex, Hypora and any of the similar variations that are on the market. This layer will keep your skin feeling warm by also wicking away sweat but not allowing moister to penetrate the garment. 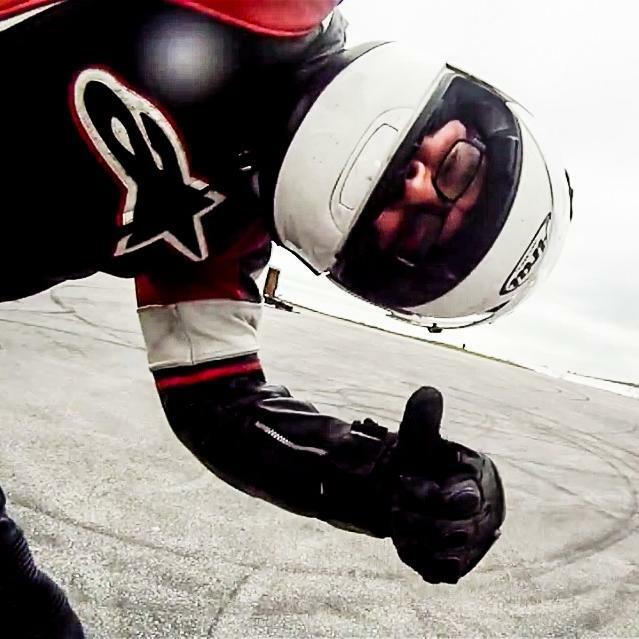 I currently ride with a pair of Cortech water proof torug boots and a pair of Alpinestars DryStar gloves. Breaking down/being stuck on the side of the road is a reality we all face in our cars and motorcycles at one point or another. If you have yet to experience it, consider yourself lucky. I’ve had a couple a flats on long road trips and they were eye opening experiences on what you need to prepare yourself for such a day. 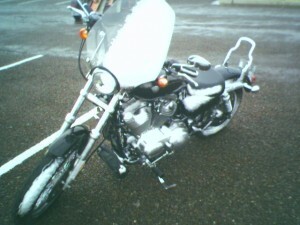 My most memorable disablement was a flat involving one of the tubed tires of my 2006 Harley Davidson Sportster. This happened during a long road trip into the Davis mountains of Texas. We were way out in the sticks and I was accompanied by three other bikes. All who had tubeless tires. As I came to a stop, my riding buddies accessed the situation and whipped out their plug kits. Upon a closer look, the tire was not repairable with a plug kit and we moved on to fill the flat tire with slime and aired the tire a few times to get to the next stop. Luckily, I hobbled to a state park and found out that I had severed the nozzle from the tube and the tire was no longer holding air. So I pulled out my handy mobile phone to call my motorcycle insurance roadside assistance. They called tow companies within a 100 mile radius and due to my remote location, none wanted to go fetch me and my bike that evening. I left the Harley and hitched a ride with one of buddies to get to our home base in a near by town to figure out a plan B.
I was dumbfounded that my trusty roadside assistance was not very helpful. Next day, We found a local with a motorcycle trailer that was able to fetch my Harley (dusted with morning snow) and he connected us with another local that was able to replace the tube. Moral of the story is that no matter how good you believe your roadside assistance service is, always be prepared to do a little work yourself (plug kit and air pump) or seek the help of a local and gladly pay for their services out of pocket. I was able to get reimbursed from my insurance for my cost but what an experience! If you plan to tour on a bike that has tubes, learn how to repair it yourself. We recently took a trip to the Ozarks and one of our buddies was riding his trusty WR250. He found himself needing to replace his rear tire, instead of holding the ride, he ordered the tire to be shipped to our hotel later in the ride and he did it himself. Wow! I’ve been following a few motorcycle video bloggers on YouTube for quite some time now. Have yet to muster up the balls to start one until recently. I took a ride a few weekends ago and recorded about 30 minutes of footage. My limitations lie on my equipment. I have a 3rd gen GoPro Hero HD (no ext mic option). So I’ve been trying to stitch together the video/audio for a few days now. Loosing more hair by the moment. Will have something up soon. The instructor was able to put something together for the five of us, a relatively small class. I have to say, it was more challenging that I originally thought. I’m a late starter to this love that is motorcycling. Started riding back in 2005 and since then – only on street bikes. What made me want to take this course was the hope that I can pickup a few more “tips/tools” to add to my riding tool bag. From much reading, the confidence and skill you gain from riding on loose terrain is a plus when you combine that skill to street/track riding. The class was filled with the similar challenges as you would find on your street bike MSF course. But with one anomaly, loose terrain. At first arrival, we were greeted by our days instructor, the bikes we would be riding and the relatively small course we were going to become very very intimate with. The course was about half the size of a football field, somewhat flat and with gradual inclines on one end. A very controlled area and away from any trees or other hazards we may launch ourselves into. 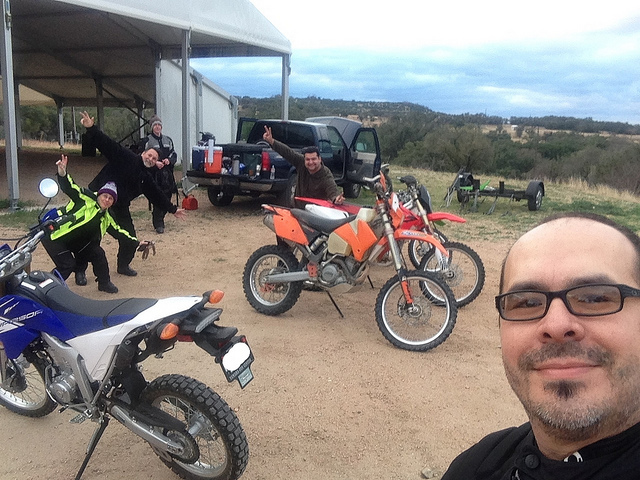 Among our group, only one has had dirt bike experience in their past and another that had recently purchased a lovely Yamaha WR450R. 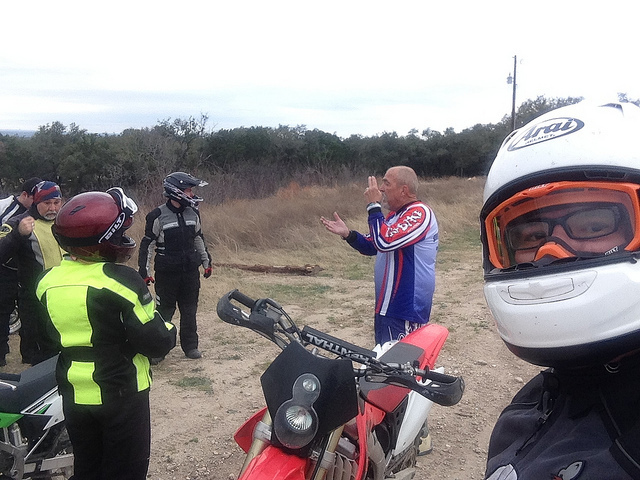 The instructor’s first comment when looking at his group of Sport Touring riders, was our gear. We all wore our textile riding gear with regular street helmets and non-armored leather boots. Only the friend that was riding the WR450R was wise enough to wear his moto style helmet and other gear. But the instructor assured us what we had on was enough for what we were going to experience that day. The day started with temps in the high 40’s and never really got over the 50’s. With looming clouds and forecast of rain, the weather gods blessed us with dry windy weather. My first impression of a dirt bike was it was very tall, very twitchy, hard to kick start. I decided to pick a Honda (the only one in the lot of 2 smaller Kawasakis, and a KTM. I sorely missed my electric start but I knew this may be a requirement. As the day progressed, the physical demand of these bikes quickly made us shed our base layers and mop up the sweat from our brows. I was immediately stunned on how well these bikes road over all kinds of rocks, small logs and holes. It was a little hard to completely trust the bike and myself when rolling over these objects but the bike was more than willing. As the lessons became more technical, requiring more clutch/throttle finesse. My twitchy Honda got the best of me, spun the bike into a 180 degree spin and I ended up with a strained hamstring. Was able to complete half the course and watch on the sidelines as the rest completed the rest of the class. Over all, I had a wonderful time and I’m looking forward to a do-over class in the near future. My hamstring is feeling better after a couple of weeks of rest and care. I highly recommend that folks take a class like this. It will give the street rider a little bit more confidence in the event your rear wheel breaks loose and it allows you manage those kinds of experiences better. Will post my experience from my 2nd time around. Hopefully before the Texas Summer heat gets the best of us. Until then, I have track day coming up tomorrow. Will post my experiences and maybe some video. For most of us, the purchase of a new motorcycle comes around eh not often enough. But as we gain experience, our tastes in motorcycles tend to change. This passion of ours and the ease to garage more than a few motorcycles on “YOUR” side of the garage – has lend the possibility of purchasing more than one bike. The cost of used motorcycles have remained somewhat affordable for most, depending on your taste. Finding these deals were once printed classifieds ads. And they have pretty much gone by the way of the dinosaurs. The internet has made motorcycle shopping an interesting animal now a days. With sources like Craigslist, Cycle Trader, Enthusiast Forums and many others – a potential buyer/seller has many options to help them do them along. It may just be me but I tend to recycle motorcycles back into the Craigslist ether every couple of years or so. Call it boredom or maybe just a simple phase. Fellow riders tend to make fun of me and have running bets on how long I may keep a certain bike in my possession. To be honest, I really do enjoy the hunt of a new (to me) bike, refreshing/refurbishing and the outfitting of a newly acquired motorcycle. With that said, I have been lucky to have only purchase running bikes. Basket cases or half finish projects don’t interest me much at this time. Most that I have been able to acquire were just needing a little love and some riding time to figure themselves out. Many folks find purchasing on Craigslist dangerous and time consuming. It can be. I always live by a great saying – prepare for the worst and hope for the best. Trust your gut feeling and folks tend to show their true colors pretty plainly at the time of the deal. With that said, If you have ever dealt with the general public in the course of your business or personal life. You know that folks come in all types. But that’s the magic about buying a motorcycle from a private party. You both speak the same language and share the same passion for motorcycles. I have found that learning about the community and history of the motorcycle you’re trying to buy helps in the softening (breaking the ice) of the communication with the seller. Mutual admiration or shared experience with similar bikes can sometimes create even footing and a more comfortable feeling when hammering out a deal. Online ad etiquette and expectation. Depending on your experience, we like to see classified ads with useful information on the potential bike we my be interested in. Some ads are very minimal and others go way out into left field. Then there’s the scam ads. After a while, you’re able to spot those out pretty easily. They asking price is usually too good to be true, generic photos are used and their contact info is usually a strange email. I hate to think of the few that have fallen to the scams. Karma will catch up to them I’m sure. Unfortunately, not everyone is a square dealer, so buyer beware. Also, you’re carrying a bit of cash on you so take precautions when meeting someone. I try to never to meet someone after dark if possible. For one, you can really see the true look of the bike. Having someone with you as backup or to help with the loading of the bike and security if you’re unsure. Try to get the VIN number or plate number of the bike prior to your visit to run it’s registration history against public databases. Titles ,in Texas at least, come in a few flavors. Clean blue title, salvage/rebuilt title and the ever so common – no title at all. I like to quote the crazy fellas from The Wheelnerds podcast “Not Stolen!”. For the most part, folks have a title in their name and free of any liens. But they’re some folks that have bikes with no titles at all or have a bill of sale of sorts. Unless you are ready to put in the extra leg work and money for a bonded title, for me the process is too much to handle. Find out from your state’s DMV what they require for title transfer with or without a title. Where the seller should sign, what title application documents should accompany it for a smooth title transfer. And try to have some kind of bill of sale of the transaction. This will help prove that the transaction happen as so. 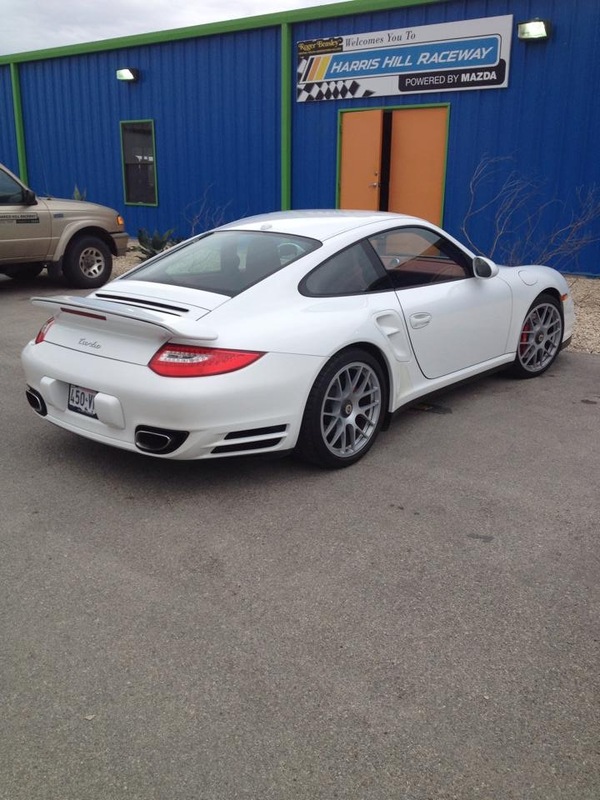 Vehicles from out of state may require special handling. Make sure you contact your local DMV to ask. Test riding: Taking a strange bike for a spin comes with a lot of expectations. Some are assumed and others are surprises. If possible, contact your insurance carrier to find out if your motorcycle insurance policy covers newly acquired vehicles or borrowed/rented vehicles. You may have some limitations. Sometimes the owner may not feel terribly comfortable you test riding his baby on your lonesome. Cash is sometimes required to be held during the test ride. A buddy of yours can be useful in this case to hold the cash just in case. You don’t know the history of the new bike. Inspect the bike and remember TCLOCKS from your beginner riding class. Tires, Controls, Lights, Oil (fluids in general), Chassis and Kickstand. Wear your riding gear to be on the safe side and take your mobile phone. Transportation. If you’re lucky enough to find your next bike in the same area you live in, a simple call to your best buds will get you a ride out to the sale. But sometimes you just have to go at it by yourself. 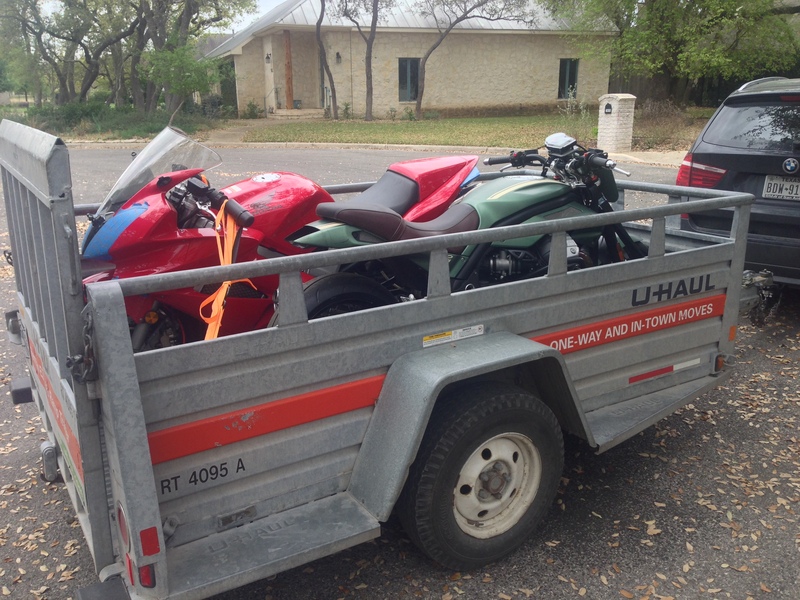 I really find the rental of the motorcycle trailer from Uhaul a tremendous help. Normally a one day rental (unlimited miles) will run you under $40 for the trailer and insurance. You can also reserve a trailer at a distant city for a one way rental if you are not entirely sure that the bike is going to turn out the way you hope. In that case, you can reserve the trailer over the phone with your credit card and I believe you can cancel the reservation without penalty. Terms and conditions could be different in your area. A set of good motorcycle straps and you are set to transport your new find. A pickup bed and a ramp is also an option. But the height of the bed, the weight of the bike and the width of the ramp may be a scary combination in my opinion. Well, these are just some of my thoughts from the experiences I have had in my neck of the woods. I hope you find them useful. The cafe racer fellas at Cleveland Moto Podcast (clevelandmoto.blogspot.com) brought to light a great alternative on protective riding gear. Some functional riding gear gives the rider a power ranger kind of a look and sometimes the higher price point of quality gear prices itself out of the reach of some. Then theres the fashion aspect of riding gear. Some folks like a certain casual or nostalgic look and this sometimes comes at the cost of protection. If you like wearing that vintage jacket and casual looking jeans, think about adding to your gear collection some impact rigs that can be worn under them. The key thing is to maximize your protection and still keep that cool casual look. 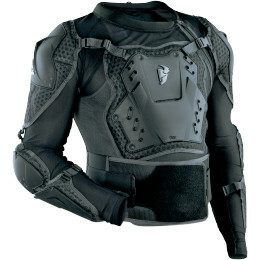 Another plus to this method is elevating the protection that the armor is going to provide you. We all like to think that gear we wear, no matter how it’s worn, is sufficient enough in the event of a spill. You want that armor to be as close to you and stay put to avoid the armor from shifting or be torn away from those critical areas. Impact rigs have been popular among the Moto & Super Cross communities. The armor is worn undera jersey and pants. Depending on the riding you do (street vs dirt) you want to purchase impact rigs that are designed with the terrain in mind. Some of these rigs can be found from $80 and up. The crazy fellas from The Cleveland Moto Podcast (clevelandmoto.blogspot.com) has recommended a wonderful new podcast to add to my distraction. The Motorcycle & Misfits Podcast (motorcyclesandmisfits.com). They both record from a round table kind of setting. Talking about the days/weeks work with motorcycles and customers. The chemistry among the folks in both podcasts is wonderful. You get to know each podcaster almost on a personal level. Cheers to the gals and guys at Re-Cycle Santa Cruz (facebook.com/recyclesantacruz)!